Huge Savings! 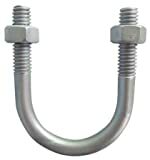 Up to 19% off on Bolts at UCBC Group. 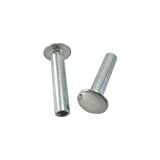 Top brands include The Hillman Group, ASMC Industrial, MakerBeam, Korpek.com, Fastenal Approved Vendor, Materro, ASPEN FASTENERS Cap-Screws-and-Hex-Bolts, ASPEN FASTENERS, County Solutions, FABORY, Clipsandfasteners Inc, Dr Dry, Align, connectorplat, & Hillman. Hurry! Limited time offers. Offers valid only while supplies last. 029133 Ilsco Au-350-2n 6 Awg-350 Mcm Aluminum Solderless Lug Aluminum Solderless Lug, Conductor Range: 6 Awg - 350 Mcm, Type: Au, 2-conductor, 6-hole Mount. 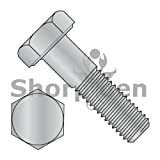 Bolt Size: 1/2". 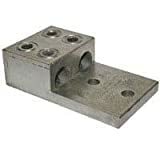 Suitable for Use with Either Copper or Aluminum Conductor.